Hidden Gem in the heart of Palo Alto's vibrant downtown. Walk score of 94! Luxurious living just 2 blocks from Whole Foods and Peet's Coffee and 4 blocks from University Avenue shops and restaurants. It is a special special home which offers the perfect blend of tranquil living and downtown convenience. 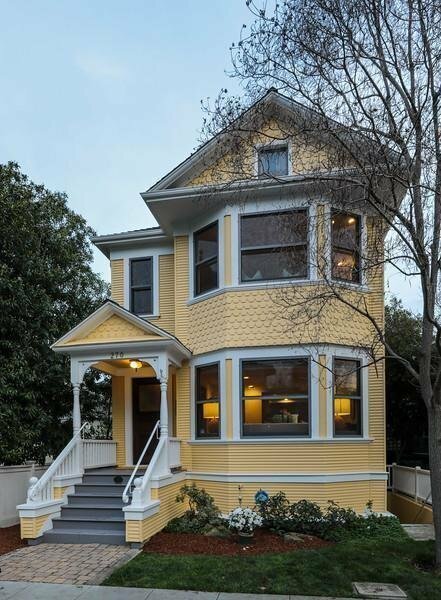 This historic Queen Anne Victorian has been masterfully updated to 21st century sensibilities. Appealing open floor plan with high ceilings, abundant natural light and French doors.. A "WOW" factor of 10! Large 2-car fully finished garage is a big bonus in a fabulous downtown location. Highlites - 4 BR, 2.5 BA, spacious cook's kitchen with Wolf & SubZero, beautiful master suite with private garden and spa bath, exercise room & laundry room.